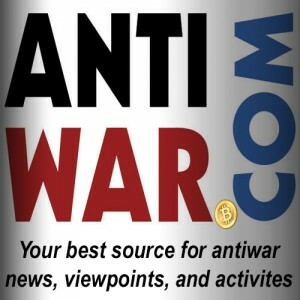 Friend of Bitcoin Not Bombs Will Pangman has joined the Airbitz team as their new Marketing Manager. We extend a warm congratulations to him and think he’s a perfect fit for an excellent company that values privacy and security. San Diego, CA—Airbitz announced today that Will Pangman is joining their team to help the Bitcoin mobile wallet startup grow its userbase and proliferate its message. Will brings his full sector knowledge, deep network, and relentless optimism to a company poised to capture the next wave of Bitcoin adoption. For the past year, Will served as COO of the Bitcoin personal finance app, Tapeke, where he remains an advisor. 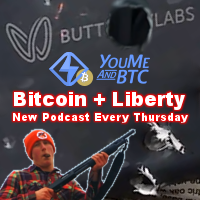 He’s also a frequent guest on the World Crypto Network’s weekly live panel show, The Bitcoin Group. Will has contributed to the Bitcoin Foundation’s Education Committee, the College Cryptocurrency Network, and Digital Chamber’s Bitcoin Education Day on Capitol Hill. As a principled advocate of autonomy, edge-security, and privacy-by-default, he is committed to working with other industry leaders at the Open Bitcoin Privacy Project and Cryptocurrency Certification Consortium to develop standards that preserve Bitcoin as Satoshi envisioned at large scale. 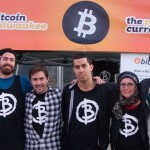 As the founder of Bitcoin Milwaukee, a 150+ member community advocacy organization that conducted outreach and education campaigns, Will is known for his efforts spreading Bitcoin awareness across a wide range of demographics. The engagement strategies he spearheaded in southeastern Wisconsin were replicated by meetups and community groups all over North America. Will thrives outside of the echo chamber exposing new minds to the power of distributed networks and the implications of cryptocurrency on the Midwest Real podcast, The Rundown Live, David Seaman Hour, Tragedy and Hope, a TEDx talk, and others. His ability to reach diverse audiences on their wavelength and awaken their curiosity is an asset Airbitz is eager to leverage to deliver its technology stack to the masses. Airbitz is a company dedicated to increasing bitcoin adoption around the world while staying true to the decentralized principles behind blockchain technology. The Airbitz bitcoin mobile app is available on Apple and Android devices and combines a familiar and friendly experience with powerful edge-security that users can trust even with limited knowledge of the underlying technology. To find out more visit airbitz.co.